We are located in a quiet residential area near the center of Ankaran, on the ground floor dwelling houses. 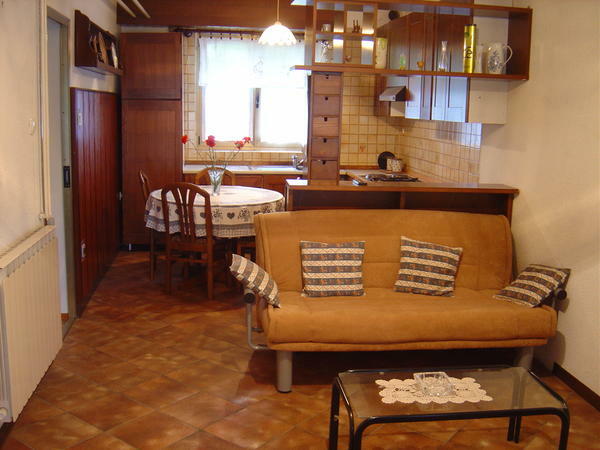 Four-bed apartment is located in a quiet and easily accessible ambience. 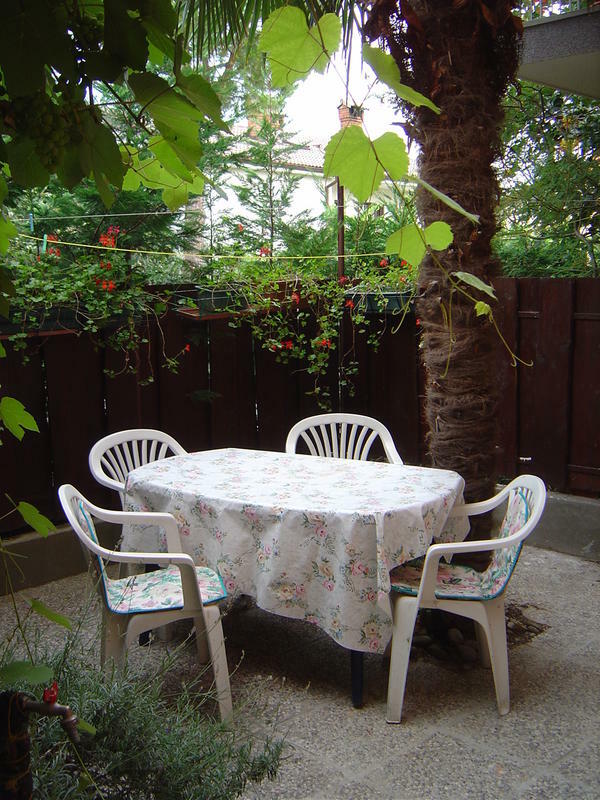 In addition to a bedroom with a double bed, spacious living - sleeping rooms, kitchens and bathrooms, guests can enjoy the pleasant coolness under Istrian "pergola" or prepare you a snack on the garden barbecue. Hiking, table tennis, swimming in the outdoor pool, windsurfing, bowling, tennis, swimming in river / lake, cycling, paragliding, fishing, swimming in the indoor pool, sauna, boating, playground.